Author of the #1 New York Times bestselling memoir WILD, the New York Times bestsellers TINY BEAUTIFUL THINGS and BRAVE ENOUGH, and the novel TORCH. The movie adaptation of WILD was nominated for an Oscar. WILD is the 2018 Griz Read Selection. The lecture will also be available for viewing at MCAT Video On Demand. 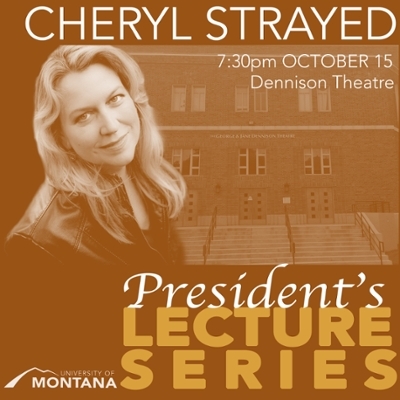 Enter "President's Lecture Series" in the search bar to choose your preferred video.